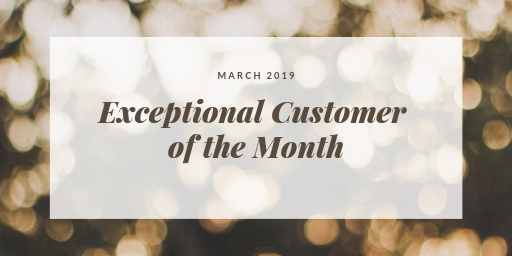 Exceptional Customer of the Month – March 2019 - Frederick Air, Inc.
Our March Exceptional Customer of the Month is Joe & Lily Spelman! They are fantastic customers who make lunch for our technicians every time we do maintenance at their home! Needless to say, we have several volunteers every time their maintenance comes up. Thank you for being such a great customer! This month’s Exceptional Customer will get a $50 gift card to Pretzel & Pizza Creations! At Frederick Air, we have an Exceptional Customer Jar where anyone in the office or in the field can nominate customers that are helpful or wonderful or touched our lives in some way. Anything from rescheduling maintenance so we could get to a customer without heat to making hot cocoa for the crew working in a cold attic. Each month we read aloud those nominated and one is randomly selected as our Exceptional Customer of the Month.